Eco tourism is a great way to not only enjoy nature, but also support the preservation of it. 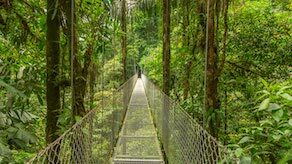 This Top Ten Destinations for Eco Tourists list contains some of the most popular destinations for eco tourists in America and beyond. A natural red rock wonder, perfect for hikers and climbers, Red Rock Canyon National Park is a one of a kind destination and a perfect way to enjoy the beauty of the American desert. 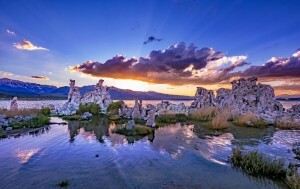 Mono Lake in California is one the last large saline soda lakes in the world. Not only does this park offer scenic beauty, but also the chance to learn about a unique ecosystem and the creatures that inhabit it. Point Lobos is a California state nature preserve located near Monterey, California. This scenic coastal park features a wide variety of wildlife, hiking trails and a whaling museum. 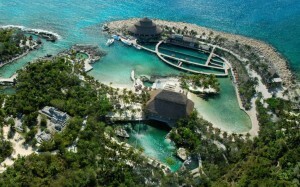 Xcaret park is a privately-operated theme park and ecodevelopment site located on Mexico’s lovely Caribbean coastline. This not only an ecotourism destination, but a full-service resort with all the amenities you could ask for. Recently, there has been a large uptick in Belize’s ecotourism market. With all pf the rainforests, beaches and diving it easy to see why! A simple search will bring you a bevy of ecofriendly lodging options convenient to most any nature experience on your bucket list! Bonaire is an ecologically rich island in the Dutch Caribbean known for its sustainable tourism efforts. You can visit and support the conservation of everything from sea turtles to coral reefs, all with the peace of mind that comes with knowing that your tourist dollars are going to the preservation of those things. 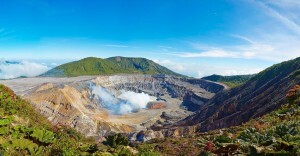 Like Bonaire, Costa Rica has recently been lauded for their sustainable tourism efforts. Its extensive national parks and reserves, well preserved coastlines and rolling green hills are to die for, and there’s a lot of rich local culture to enjoy as well! The Galapagos Islands are famous for their tortoises and their connection with Charles Darwin, but there is also a thriving industry of responsible ecotourism. Visit the Galapagos and see some of the most undisturbed natural beauty left on the planet! Hawaii is full of natural park and nature preserves for your next ecotourist excursion. Visit the Hawaii ecotourism association’s website at Hawaiiecotourism.org for more information. 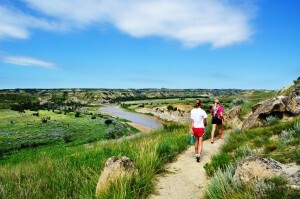 Finally, we come to Theodore Roosevelt National Park in North Dakota. Considered one of the best ecotourism destinations in the great planes, this badlands park is dedicated to the preservation of biological and ecological diversity. If environmentalism is a passion of your then taking an ecotourist trip is a must, but there is something else that I should mention. While I am confident in my research here it is important to note that there are people taking advantage of the popularity of ecotourism to make a profit off of tourism to these sensitive locations without practicing any sort of sustainability or conservation efforts, so please be sure to do your research before you visit any of the amazing destinations of this list of destinations for eco-tourists.